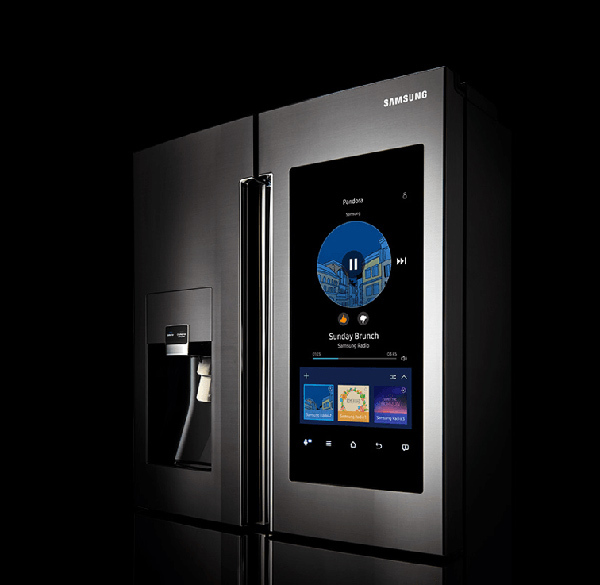 If you keep abreast of the new technology announcements that take place during the annual Consumer Electronics Show (CES), then chances are that you’ve already been partially introduced to Samsung’s Family Hub smart refrigerator. Originally announced at CES 2016, this gorgeous looking kitchen appliance instantly conjures up mental images of your standard American fridge freezer type appliance, but there’s one fundamental difference; it comes with an enormous embedded touchscreen that resembles a huge smartphone. If you were looking for a new fridge freezer, but were instantly excited about allowing Samsung to revolutionize your kitchen, then you’re in luck as the Family Hub smart refrigerator is now on sale in the United States. Gone are the days when a refrigerator was just used to keep your groceries fresh, and your milk and soda at an optimum drinking temperature. There was a time when the introduction of water and ice vending systems on the front of kitchen appliances was deemed “revolutionary”. Those days are also gone with companies like Samsung looking to reinvent and modernize every part of the home step-by-step. But that modernization comes with a cost. Rather than parting with an average of $1000 for a standard fridge freezer, Samsung is asking consumers to hand over upwards of $5600 for this new appliance. You do get some amazing functionality for that outlay though. 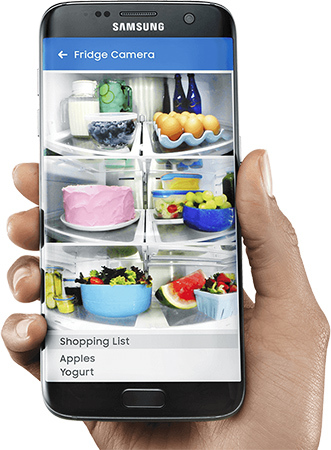 In addition to storing groceries and frozen goods, Samsung’s latest home gadget allows owners to easily order groceries through MasterCard’s new Groceries app installed on the refrigerator. Yes, that’s right, kitchen appliances now come with apps installed. A quick interaction with the Groceries app through the 21.5-inch touchscreen allows owners to order whatever they please with minimal fuss. The Family Hub smart refrigerator can also function as a menu planner, a media streaming device that can stream music via services like Pandora and TuneIn, as well as mirroring media and cable channels from one of Samsung’s Smart TVs. It can even function as a calendar, provide timely weather updates if you require, and even function as the good old notepad for your entire family. If all that wasn’t enough bang for your buck, then how about three internal cameras that continuously monitor and take snaps of the groceries inside of the product and feed them back to a connected smartphone? Oh, and it also functions as a refrigerator. Just in case you were wondering. Family Hub is available in two sizes, and two different colors. A Standard Depth Family Hub in Stainless Steel will set you back $5,599.99, whereas those opting for a Black Stainless Steel variant can expect to pay $5,799.99. 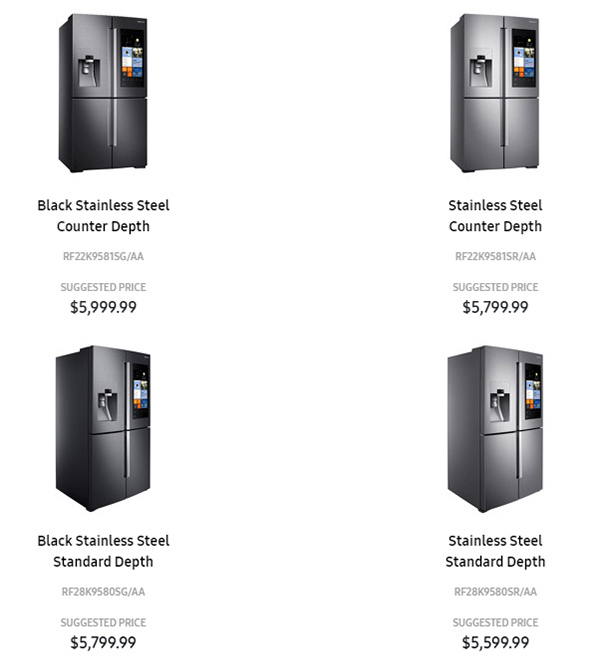 Those looking for more space can opt for the Counter Depth range which comes in at $5,799.99 for the Stainless Steel model, and $5,999.99 for the Black Stainless Steel model. 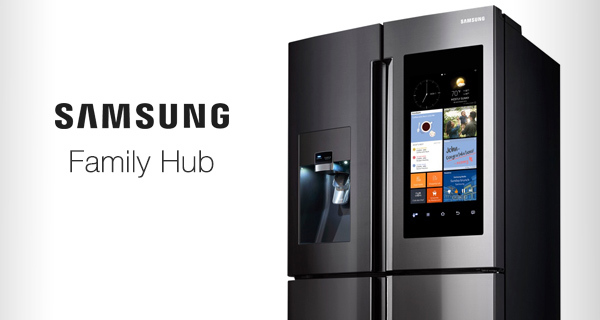 Samsung has also released a video of the fridge aptly titled, Inside the Fridge. Check it out below. Haha love the video of inside the fridge that sumsung made but still wouldn’t buy this fridge even if I was rich!